The Manitoba Moose had an interesting first month of their 2018-19 season. 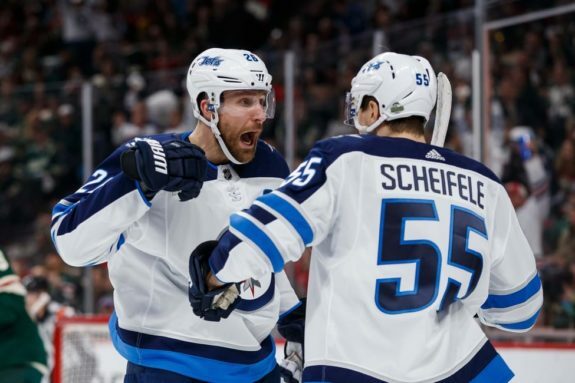 October was full of ups and downs for the Winnipeg Jets’ AHL affiliate — it featured rousing victories, embarrassing defeats, and outstanding individual performances. It’s always good to keep an eye on what’s going down on the farm, so here’s a quick summary of the Manitoba Moose’s month of October. 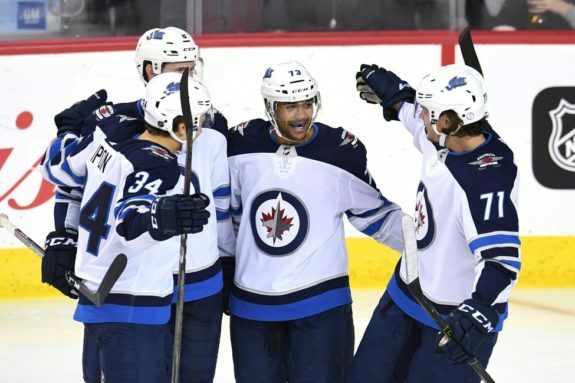 The Jets’ unique preseason schedule, which allowed them to carry more players for longer than usual, had some ripple effects on the Moose. On the positive side, it allowed their young prospects to get NHL looks they otherwise wouldn’t have gotten, and some really impressed. On the negative side, it prevented them from playing any preseason games prior to their season-opening two-game series against the Iowa Wild. In their season-opener on Oct. 5, they were soundly beaten 4-1, then on Oct. 7, were thrashed 8-1. Their unpreparedness, unfamiliarity with each other, and lack of chemistry were obvious — they went a combined 0-for-9 on the power play and allowed four power play goals. After that, the Moose returned to Bell MTS Place for their home opener on Oct. 12, and for the first time since returning to the city from St. John’s in 2016, won it, claiming a tight 2-1 win over the Belleville Senators. “We pushed them hard this week,” head coach Pascal Vincent said in his post-game comments. “We wanted to make sure we’re on the same page, to understand what it takes to win at this level,” he continued, before alluding to the fact it can take some time for “14, 15 new players” to gel together. Vincent preached the X’s and O’s in those comments as well, stating “when you work of stuff, your forecheck, your d-zone coverage, your neutral zone coverage… once the guys are doing it and you’re in sync and it works, you know it creates some confidence.” Since their challenging first two games, the Moose have slowly become more accustomed to each other and have won five out of their last seven. The Moose looked both more in sync and confident in the latter half of their four-game homestand, which they finished 3-1 overall. They managed to make some hay in two straight against the San Antonio Rampage. The Moose found their goal-scoring touch in that series after tallying just six in their first four games. On Oct. 19, they scored three consecutive third period goals en-route to a 4-1 victory, and on Oct. 21, they put up 6 goals and were led by Mason Appleton, who scored a hat trick and added two assists. After that, the Moose went on a three-game road trip that featured two games against the Milwaukee Admirals and one against the Rockford IceHogs. They went 2-1, finishing the month 5-4-0-0, good for a four-way tie for third in the Central Division with Iowa, Rockford, and the Texas Stars. The 22-year-old 2015 sixth round pick, who shattered all expectations with a 66-point 2017-18 rookie season and captured the Dudley “Red” Garrett Memorial Award for AHL Rookie of the Year as a result, has picked up where he left off. He leads the Moose with nine points and is tied for the team lead with five goals. In addition to his aforementioned five-point performance, he also scored the overtime game winner against Milwaukee on Oct. 30 to help the Moose capture their second consecutive 2-1 victory and finish the October portion of their schedule on a high note. CJ Suess, chosen by the Jets in the fifth round of the 2014 NHL Entry Draft, impressed in four preseason appearances, putting up a goal and two assists while showing flashes of playmaking and scoring ability. He’s done the same for the Moose — the 24-year-old brings a sturdy, well-rounded game that’s helped boost the Moose in a number of ways. Seuss was one of the most consistent producers for the team in October and is tied with Appleton for the team lead in goals with five. He’s found chemistry with Appleton and Kristjan Vesalainen on the power play, which has led to a few good-looking goals. Comrie, who didn’t get as much of a chance to battle for the role as Jets backup as many were predicting — this writer included — had a productive month and looked fairly confident in his third full season with the team. Overall, Comrie is 3-2 with a 2.80 GAA and .918 SV%. He has won his past three starts, made 30-plus saves each time, and allowed just five goals in that span. In the past, Comrie has had a penchant for giving up juicy rebounds and not seeing through traffic, but appears to be improving in those regards. 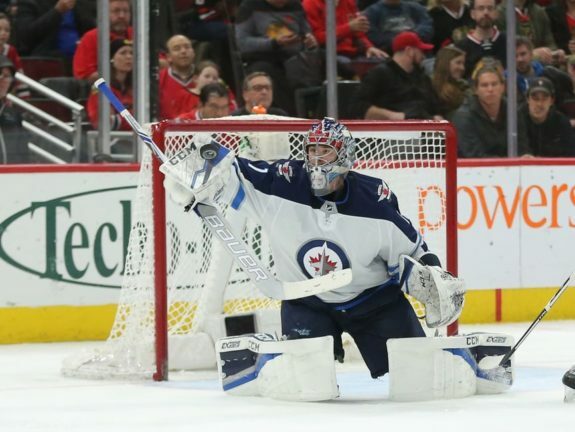 The 23-year-old is currently overseas with the Jets as they were allowed to take an extra netminder to Finland for their 2018 NHL Global Series games against the Florida Panthers. 2017 seventh round pick Skyler McKenzie scored his first professional regular season goal on Oct. 27 against the Admirals. Goaltender Mikhail Berdin recorded his first AHL win in his first-ever start on Oct. 28, making 35 saves in a 2-1 shootout victory against the IceHogs. The Moose have a busy November with 12 games split evenly between home and away. First, they’ll welcome the Chicago Wolves and Grand Rapids Griffins to Bell MTS Place for a pair of games each between Nov. 2 and Nov. 10. Then they’ll hit the road for four games in just six nights. The trip starts in the Lone Star State with games against the Rampage and the Stars. Then, the team will trek north to face the Wolves and Griffins again. After that, they’ll return to Winnipeg for back-to-backs against the Wild — which they’re hoping will go better than their early-October meetings — on Nov. 23 and Nov 24. Finally, they’ll play the first two contests of a six-game California road swing against the San Diego Gulls on Nov. 28 and 30.